I. 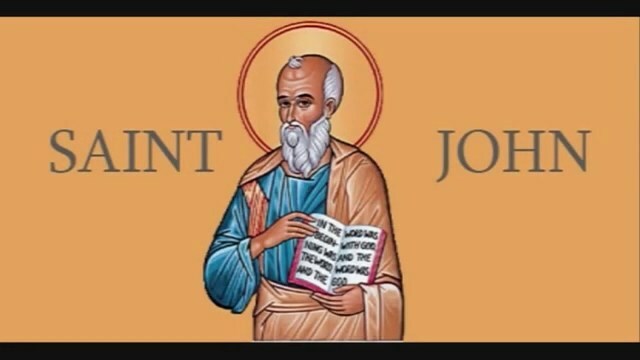 My most loving Saint, St. John the Apostle, behold me kneeling at thy feet, beseeching thee with all the affection of my heart to grant me thy special protection, particularly when in danger of offending God. O my dear and holy advocate, remember me before the throne of the most holy Trinity, and obtain for me from the infinite goodness of God, the virtues of humility, purity, obedience, and the grace to fulfill exactly the duties of my state. II. O my dear Saint, St. John the Apostle, I renew to the Lord, through thee, the holy resolutions which I have frequently made of intending to love and serve Him faithfully. I am resolved to detach myself from every earthly thing, and I desire ardently to unite myself to Him, as my first beginning, last end, and sovereign good. My dear Saint, I beseech thee to offer to the most holy Trinity the sacrifice of my whole being, particularly of my judgment and will, in order to conform fully to God most holy, because I desire nothing else besides His grace and His holy love. III. My sweet and holy Protector, St. John the Apostle, behold me again full of love for thee and full of confidence, beseeching thee to cast thyself on thy knees before the throne of the most holy Trinity, and entreat most ardently that God, through His infinite goodness, may grant me the grace to fly sin, and the gift of final perseverance. Thou knowest, O my dear St. John the Apostle, how great are the temptations to which man is subject, and how continual are the perils I run of being lost; do thou assist me with thy efficacious prayers.